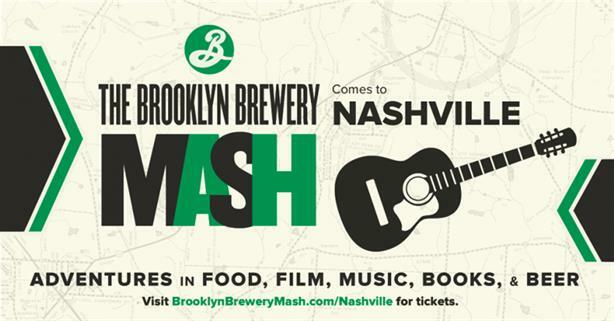 Brooklyn Brewery has selected Porter Novelli to handle media relations for its second-annual Mash tour that celebrates community art, music, food, comedy, and culture around the globe. NEW YORK: Brooklyn Brewery has selected Porter Novelli to handle media relations for its second-annual Mash tour that celebrates community art, music, food, comedy, and culture around the globe. Porter, which began working with the brewery in January, was brought on after the agency reached out directly to the brand, said Ben Hudson, marketing director at Brooklyn Brewery. The beer company had never worked with an agency for any of its PR efforts in the past, but with the tour growing in its second year, the brewery wanted to "capitalize more on the project in terms of PR and knew we couldn’t do it on our own," added Hudson. The Mash, which started this month in Nashville, TN, will continue through November and stop in Chicago, Stockholm, Washington, DC, Pittsburgh, London, the Twin Cities, Philadelphia, Boston, Miami, and Austin, TX. Initially, the brewery was going to bring on local PR firms in each of the 12 cities it is visiting, but Hudson said the brand was impressed with Porter’s global network and its culinary specialty group, Orange Palate. The account is being handled out of the firm’s Orange Palate specialty unit, which launched last November. Porter’s main responsibilities for the tour include engaging local media and bloggers in each town to increase buzz about the food and arts festival. Hudson said the brewery also has a national media outreach plan. Social media is handled internally at Brooklyn Brewery, but the company will discuss efforts with Porter, he added. "So much of the Mash is exploring the dining culture and local flavors and arts in every city that it hits," explained Gennifer Horowitz, VP of food, drinks, and nutrition at Porter. "This is a partnership made in heaven because we are able to connect Brooklyn Brewery with the nationwide and global network of chefs and experts we’ve worked with through Orange Palate." As the beer company continues to grow and competes against breweries in communities all across the globe, Hudson said it is important for the brand to communicate with fans in other markets in an authentic and relevant way. The Mash, he added, allows Brooklyn Brewery to bring some of its favorite things to a different market and celebrate the similarities it has with that community. Darlàn Monterisi, EVP and MD of Porter Novelli New York, said she is proud of the agency because it "cultivated the relationship" with Brooklyn Brewery organically and the brand fits perfectly with Porter’s culture and expertise. The contract on the account will run through the end of the tour. Budget information was not disclosed.